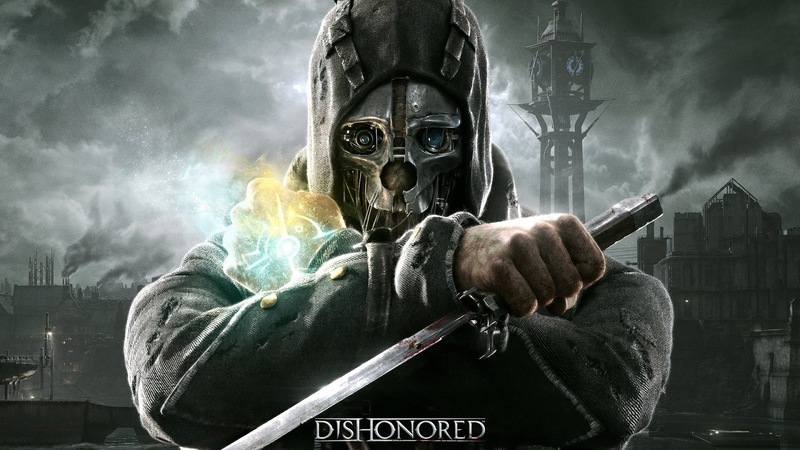 When someone said to me that this game will be about a supernatural assassin, I automatically became confused on the type of gameplay Bethesda’s latest title, Dishonored would have on offer. A few gameplay videos and trailers later, that confusion has settled and now we’re presented with a game that looks to have story and gameplay running side by side effortlessly through open levels and side quests. 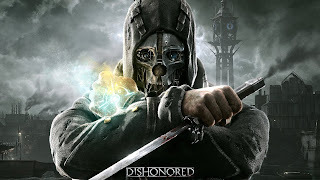 So does Dishonored bring something new to the table? Or is it recycling something we've seen before? So Dishonored is set in Dunwall, a fictional city modelled after what looks to be Victorian London and the plague has grabbed the citizens, causing complete mayhem. Those who've been affected are called Weepers in which they’re abandoned and closed off to the rest of the population. Corvo Attano, a bodyguard to the Empress returns from a long journey seeking help with the epidemic. After delivering his findings to the Empress, they’re suddenly attacked by a group of mysterious assassins, restrained by their supernatural powers and unable to fight back, the Empress is killed and her daughter Emily is also taken away. The Spymaster returns to check the situation and has Corvo imprisoned for the murder of the Empress and the kidnapping of Emily. Corvo Attano wearing his cool mask, in his cool pose. Locked up and being interrogated, the Spymaster admits that he’s responsible for the entire ordeal as he wished for the country to have much stronger leadership, the only thing left was for someone to take the fall as Corvo just happened to be in the wrong place at the right time. In his cell, Corvo is smuggled a letter from Empire Loyalists and given the means to escape, along the way he meets fellow loyalists and while resting is approached by the Outsider, a powerful spirit who grants him powers to help him undertake his revenge simply because he finds him interesting and wishes to see the path he takes to reach his goal. So the narrative here is a simple case of betrayal however the way the game pans this out and the way in which other characters affect Corvo’s mission is done pretty well. The idea here is to find out how the player takes care of things which surprisingly affects the kind of ending you see as well. Will you kill every enemy in your path? Or will you save as many lives as possible? Throughout certain segments of the game, the Outsider will appear before you and comment on certain decisions you made which I thought was a nice touch as if the game itself is questioning your morals. The plot itself may not be the most amazing thing and at times, can come across as pretty predictable. It follows a simple pattern but at times there are unexplained areas when it comes to certain characters. So the main emphasis of the gameplay is to clear each mission you’re given in any way you see fit. You can make use of your environment and move quietly in the shadows or go in and completely murder everyone. Corvo himself has access to two separate tools, the powers from the Outsider and weapons you buy or pick up while playing through the game. Overall there are ten powers that can be acquired and these can be unlocked by coming across special runes during your missions. Each power has a specific requirement of runes in order to be used but at the same time, can be upgraded for stronger effects. The Outsider gives you a mechanical heart which makes it easier to find these runes and you can also acquire them by undertaking tasks for specific characters throughout the game. Another object the heart can locate are Bone Charms, these little things can grant you special effects when using your powers such as an increased duration of rat possession or enemy bullets having a bigger chance of missing; they can come in very handy and should be equipped at every opportunity. Lastly, using these powers depletes your Mana meter and it can be replenished by drinking blue potions found throughout the game world. The Tallboys, they are indeed... tall. Most weapons available to you are meant to cause some serious damage; however there are one or two that can be very useful if you wish to spill as less blood as possible. Just like the supernatural powers, the weapons can be upgraded by collecting the necessary blueprints found around the game world and taking them to Piero Joplin to be tuned up, you can also buy new weapons using the Coins you pick up or loot from enemies/ NPC’s. The great thing about Dishonored is the fact that you can go through the entire game without alerting any enemies but if you’re like me and can’t even keep a thought quiet let alone footsteps, you’re going to have quite a few confrontations with the opposing side. Now the AI themselves vary depending on how far you get in the game. Early enemies such as the Overseers who patrol the street may not pose much of a threat, however when it comes to the Tall boys, a little planning ahead may be necessary. In saying this, it’s obvious that the difficulty setting you select at the beginning will affect certain parts e.g. there are four difficulty levels which affect the effectiveness of Health and Mana potions, also increasing or decreasing enemy awareness, damage output and responsiveness. How many times have we told you to close that damn window! 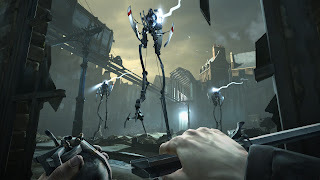 What makes Dishonored brilliant from a gameplay standpoint is the fact that you are given these basic tools/powers but can combine them together to create some damn awesome effects. It’s amazing to see the kind of solutions you can come up with for a given situation e.g. you slow down time just as a guard shoots at you, possess that same guard and position him in front of the bullets path. Release the guard and release your hold on time and watch as the enemy shoots himself. While there have been games that give player choice before it, this goes beyond that by encouraging experimentation with mechanics to produce interesting results. 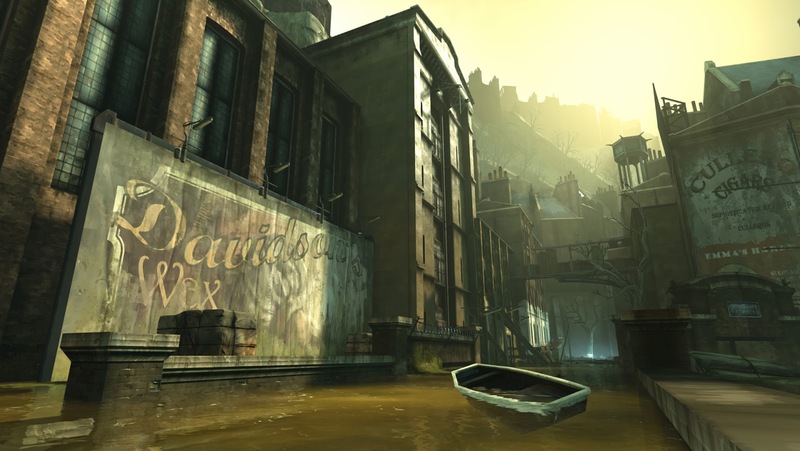 What makes Dishonored visually great is the way in which Dunwall is portrayed. The streets are dirty, filled with rats and plague victims are made to look both repulsive and unstable. 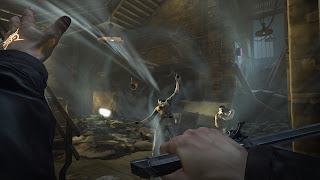 The affected areas are filled with gunge, dirt and anything else that would make you want to puke up but at the same time, its brilliant as Dishonored was able to show so much of this through its environment. I've never seen an uglier and gritty looking place but I'm glad that Arkane Studios were able to translate this into their game world through the use of great textures and lighting. What was also interesting was the mix of both a medieval and futuristic theme to create a blend that works well graphically and makes sense in the game world. The amazing, disgusting world of Dunwall. Sound work is really well done in Dishonored as the city of Dunwall is constantly buzzing whether it’s the Weepers groans and moans or the guards having conversations about certain characters or events. Not exactly heavy, full on soundtracks but it’s the little sounds that make the biggest difference and creates an atmosphere that is both tense and chilling. 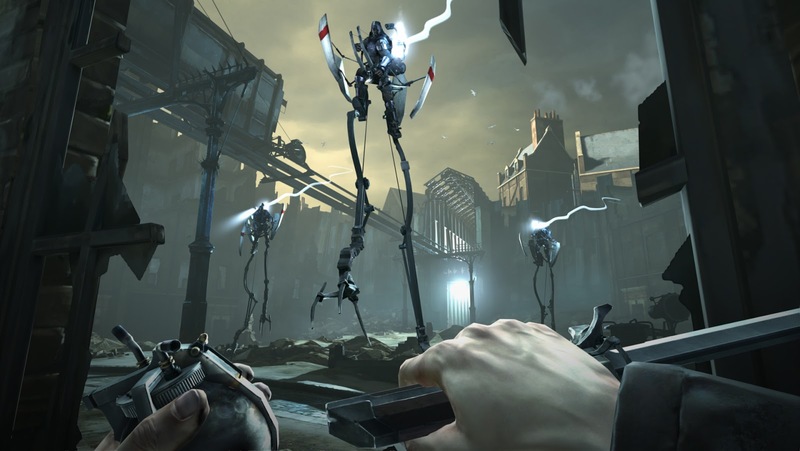 Dishonored creates a feel and atmosphere that I feel compliments its gameplay mechanics perfectly. Dunwall is a city in serious peril and you can see this through the game’s environment and characters that have been affected. Freely being able to tackle an area in any way you see fit is a breath of fresh air and the unlimited ideas you can come up with the basic tools you’re given makes the game that more enjoyable.